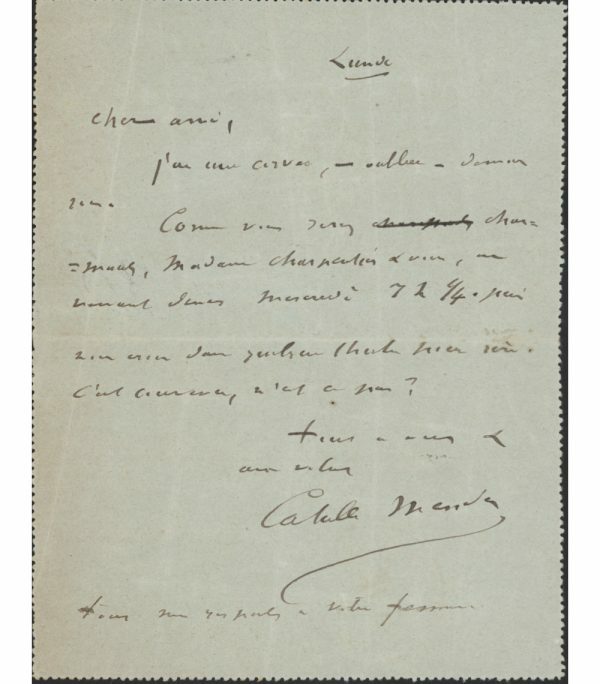 Autograph Lettercard (carte pneumatique) Signed, to Georges Charpentier, extending an invitation to dinner. In French. 5½ x 4½ inches, light surface creasing. Postmarked Paris, 5 October 1903. Catulle Mendès (1841 –1909), French poet and man of letters.